My family has always enjoyed our time in the Caribbean, especially San Juan, Puerto Rico. We love strolling the old city, and of course the beaches. We have also visited and enjoyed two of the three activities I’ve cited below, with hopes to try the third. I hope your family enjoys them as much as we did. 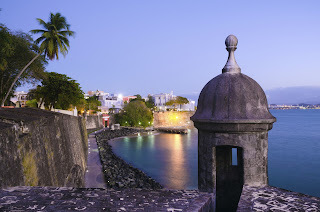 The Forts-There are two historic forts in San Juan, about a mile apart from one another; Castillo San Felipe del Morro (El Morro) and Castillo San Cristobal. Spain built these fortifications to secure their position in the Caribbean and protect the city of San Juan. El Morro is the larger of the two and you can either take the free trolley between them or walk. Special note…there’s a big lawn in front of El Morro fort and locals and tourists enjoy flying kites there and picnicking on the grass. El Yunque Rain Forest – My son is now 26 but still talks about the fun he had exploring the Rain Forest when he was 8 years old, and again when he was 14! The well maintained trails range in difficulty so something for everyone. There are waterfalls and natural pools to swim in, and a number of unique plant and animal species. The El Yunque National Forest is managed by the US Forest Service and the ranger-led tour is really good. They point out and discuss the different plants, and help you find some of the insects and wildlife of the this Caribbean rain forest. The Bioluminescent Bays– There are only five bioluminescent bays in the world and three of them are in the Caribbean in Puerto Rico. 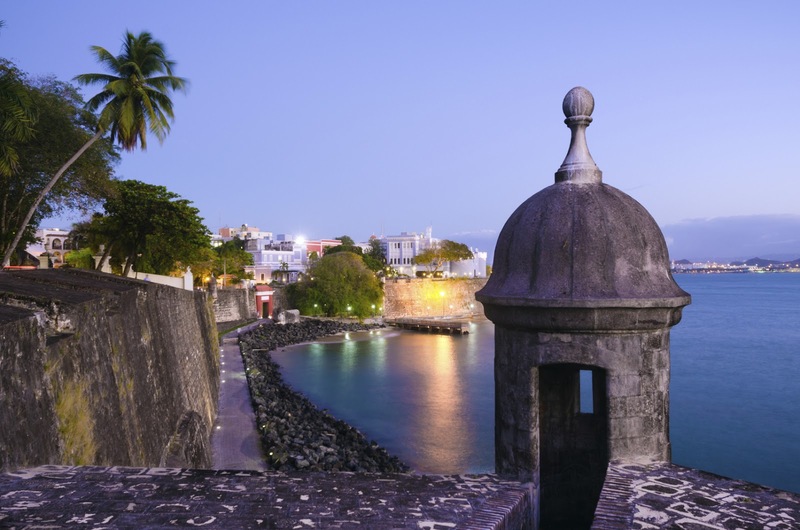 Experiencing the bay is a night-time activity, and since San Juan is such a popular embarkation port and many people choose to fly in the day before, I felt it was worth mentioning. The brightest bay is Vieques, the second brightest is Laguna Grande in Fajardo, and the least bright is in La Parguera. The cause of the bay’s eerie glow is flagellates, which are tiny micro-organisms. You can either do a kayak trip, take a walking tour, or go in an electric boat in Fajardo, or take a catamaran trip over to Vieques. 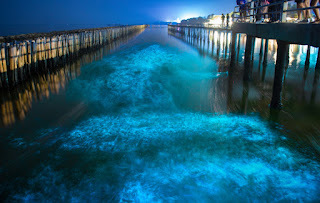 I’m definitely putting a bioluminescent bay on my cruise bucket list!